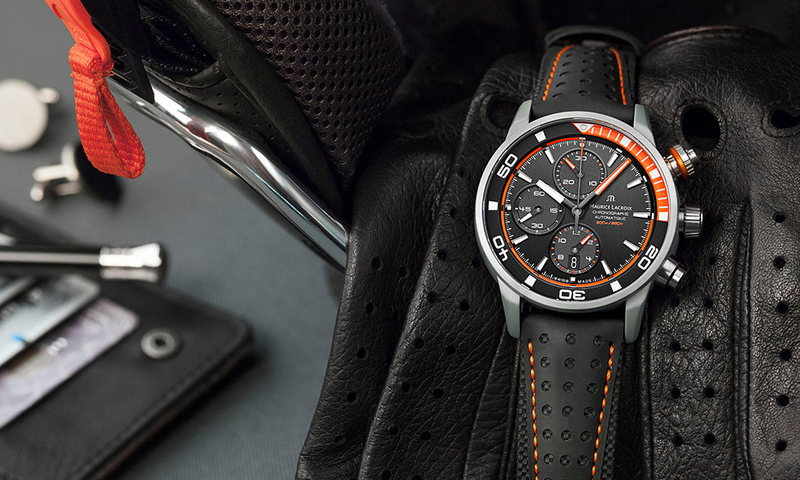 Luxury Swiss watch manufacturer Maurice Lacroix has announced that it will introduce the Pontos S Extreme, a new timepiece designed for those who choose to push boundaries and explore the extremes of human performance. 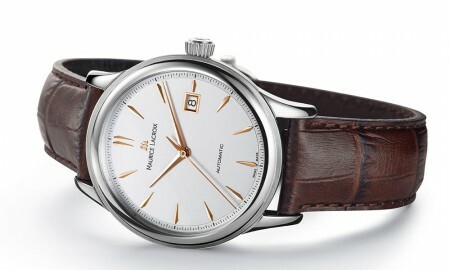 The 43 mm watch boasts a case and bezel constructed from Powerlite, a unique alloy exclusive to Maurice Lacroix that is up to three times lighter than steel but twice as durable to the environment. It is produced using a combination of aluminum, magnesium, titanium, zirconium and ceramic. Powered by an automatic in-house ML112 movement that beats at a frequency of 28,800 vibrations per hour, the watch achieves a minimum power reserve of approximately 46 hours. 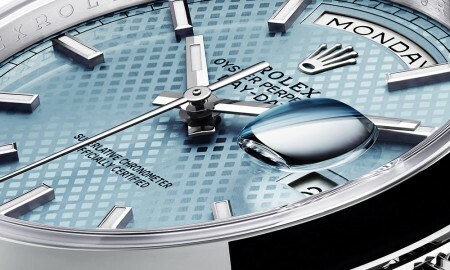 It is this mechanism that drives the functions of the watch, which include hours and minutes indicated by central hands, small seconds at 9 o’clock, chronograph seconds indicated by central hand, a 30-minute chronograph counter at 12 o’clock, and a 12-hour chronograph counter at 6 o’clock. Additionally, a date display window is located at the 6 o’clock position. Two different variations of the watch are available. This is represented through the colour of the watches sandblasted turning scale ring, which is available with either green or orange indications. This colour is further depicted on the stitching of the textured calfskin strap. Furthermore, every timepiece includes a domed sapphire crystal display with anti-reflective coating on both sides. This ensures its readability under a variety of lighting conditions. 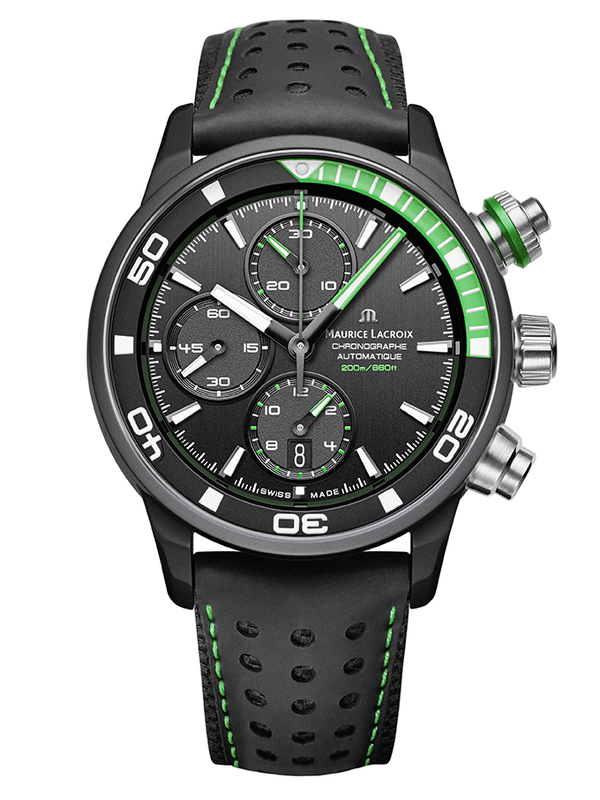 The Pontos S Extreme from Maurice Lacroix will be water resistant up to a pressure of 20 bar. That is the equivalent depth of 200 meters or 660 feet.